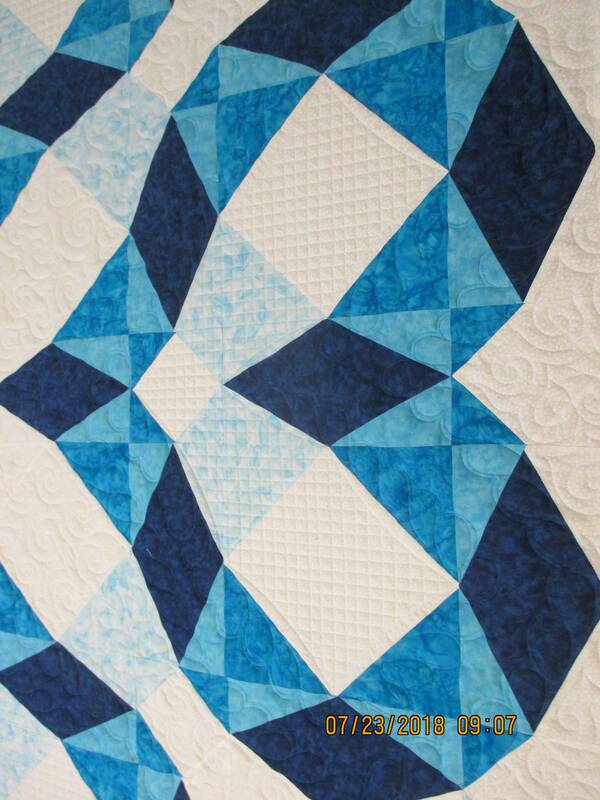 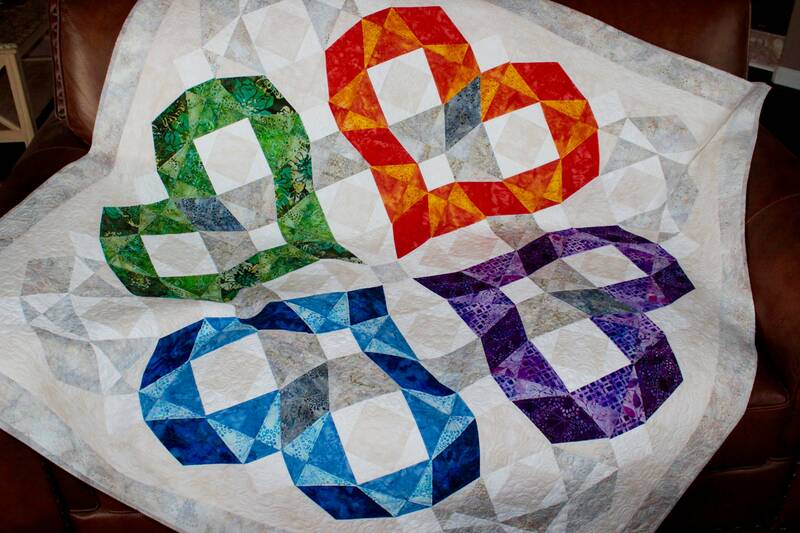 I created this King size quilt from traditional Storm at Sea blocks. 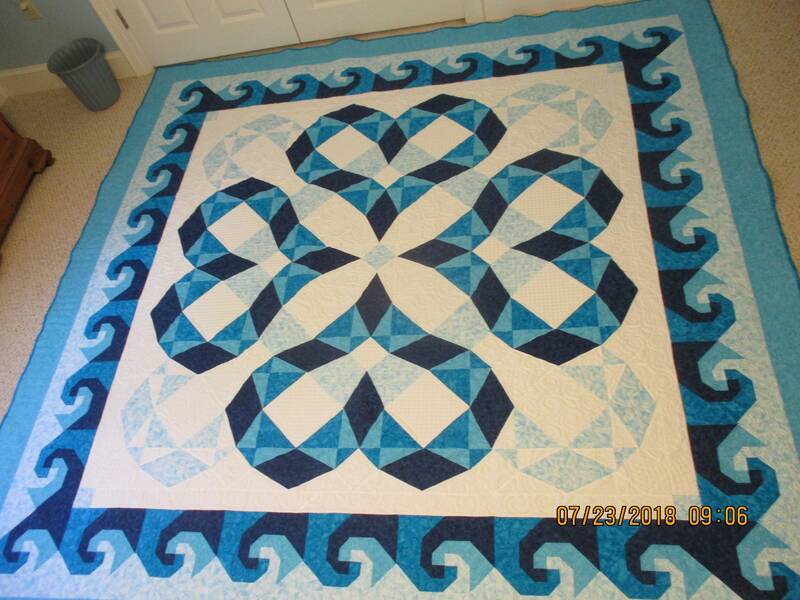 I combined my "Heatwaves" design with Ocean waves border. 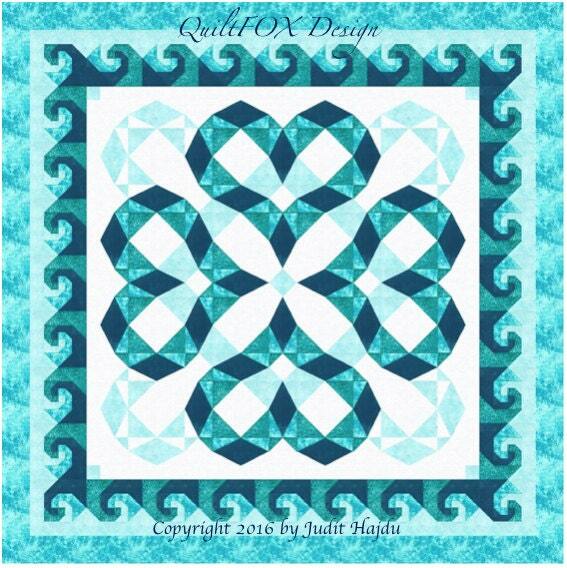 I used the shades of aqua, the color of the water.